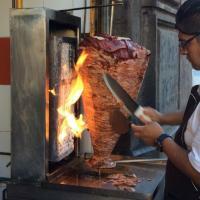 Street food in Mexico City is a local delight; and a passion that visitors to the city can relish in too. 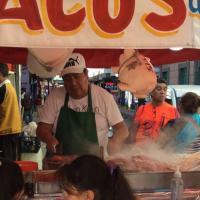 Join your Host as you get lost among thousands of stalls and taquerías. Let your Host guide take your taste buds on a tantalising tour through the city’s best tasting snacks, drinks and deserts. 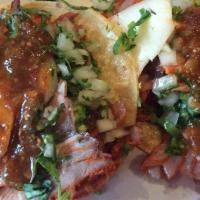 Take your appetite on a journey and open your mind as you learn about Mexico City’s impeccable culinary world. Taste the refined, local flavours of one of the most dynamic neighbourhoods as you soak up the vibe and taste the iconic dishes loved by many. With dozens of varieties of tacos, tortas, pozole, mole, sopes and ezquites to try, this outing is a must for any food fanatic who wants to experience an explosion of flavours and see why the street food scene is one of the best in the world! Eat your way around the best street food vendors with a Host and discover the diverse ingredients and way of life you may be unfamiliar with. Buen provecho! 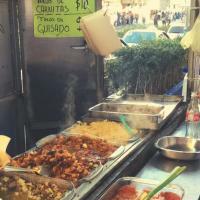 Mexico City is a food lover’s paradise – you’ll find street food on nearly every corner of the city, and an endless quantity of restaurants serving regional Mexican food from every part of the country. Immerse yourself in the city’s food culture with your Host who will pick 8-10 of their favourite street foods for you to taste and indulge in; from tacos to tamales to churros. Spend time getting to know your Host, explore the area of the city, chat about your favourite cuisine and get some insider recommendations of the most authentic locals places to eat and drink on the rest of your trip, at places your Local knows you will love. Feast on street food you’ve never have seen before and take your tastebuds on a wild adventure into the unknown! Loved our experience in Mexico City with CityUnscripted. We met at Centro Histórico with our guide Alejandro, who was on time (even before we arrived). We have asked for a food tour and they asked us what other interests we had, we said that we liked history and art. Alejandro knew a lot about history, architecture and art. He also knew the best places where to eat different types of tacos and other amazing dishes from Mexico. Alejandro fed us A LOT (do not eat before this tour), and also explain to us the different dishes and how the dishes related to the culture. He was really flexible on our tour and overall a great guide. We had the best time. I do recommend that if you are going to be in Centro Histórico you bring your ID so you can go into the National Palace and see the murals by Diego Rivera (I did not bring my ID, so I missed it). I would do it all over again, I do not think we could have accomplished and seen as much without Alejandro there to guide us. Roberto was so fun and so energetic we really enjoyed our tour with him. He accommodated our tastes and accessibility (stroller). His background in archeology was an asset in our experience as well. Thanks Roberto!